Ivy Manning (ivymanning.com) is a Portland, Oregon-based freelance food and travel writer, food stylist, and author of The Farm to Table Cookbook: The Art of Eating Locally. Her work has been featured in Cooking Light, Sunset, Fine Cooking, Edible Portland, Bon Appétit magazines and on culinate.com. Additionally, Manning is a regular contributor to the Oregonian FoodDay section with her column, Vegetarian Flavors. She is also the author of The Adaptable Feast, Crackers & Dips, and Williams-Sonoma Better from Scratch. Visit her online at ivymanning.com, on Instagram @ivy_manning, or on Twitter @Ivysfeast. Her sixth book is forthcoming from Chronicle Books in fall 2017. Weeknight Vegetarian shows how to put a delicious, wholesome meatless meal on the table on any schedule. It offers quick, easy, and healthy meatless dinner ideas for any time of the year, with dozens of choices for any occasion. Using fresh produce, whole grains, vegetable-based protein, and healthy fats as the foundation, author Ivy Manning transforms fresh ingredients into tempting dishes. Organized by season, chapters open with advice about the fresh ingredients and cooking methods best suited to the time of year. 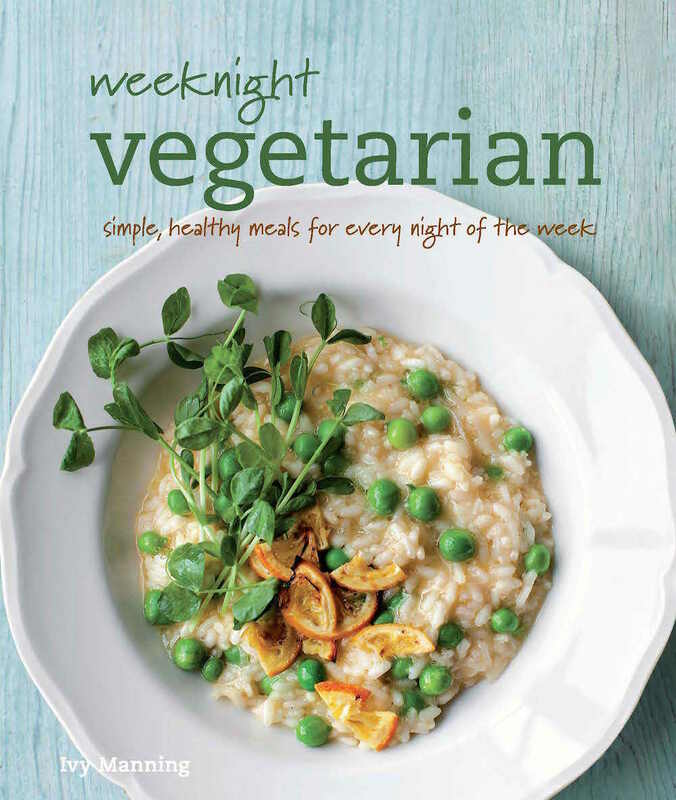 Clever tips throughout offer enticing ways to reound out meatless meals, customize recipes to personal tastes, menu planning strategies, and helpful ideas for turning leftovers into new suppers later in the week. With this solution-packed title on the shelf, you’ll have a reliable roadmap for eating well every night, no matter what the day brings.